Hello Matcha lovers, this is a simple recipe that I tested at work and it's so delicious. 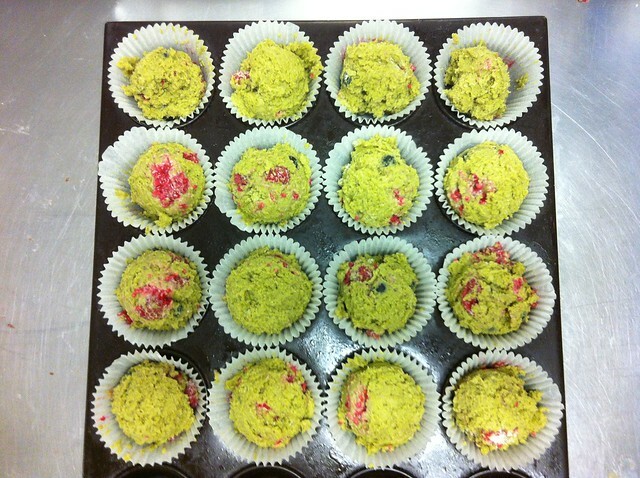 You should have seen my face when I discovered that we had a container full of Matcha powder in the kitchen. I used the other chefs and my friends as my tasters...they loved it. Go try it! and share it! Get 2 mixing bowls out of your cupboard. One will be for the dry ingredients + fruits and the other one for the wet ingredients. 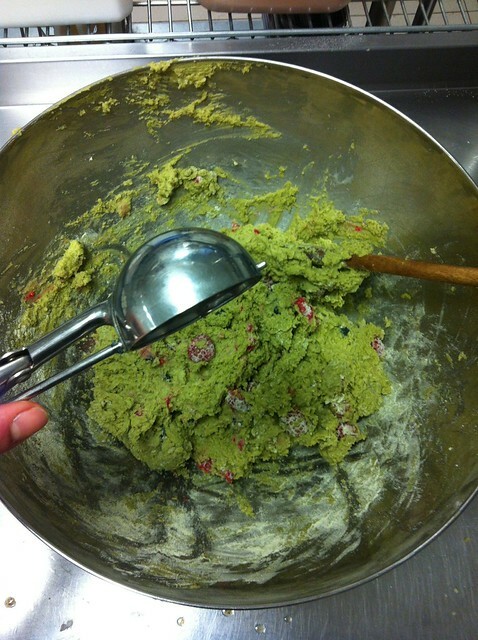 In the first mixing bowl combine the flour, the baking powder, the matcha powder and the salt together. Add the berries to it and the set aside. 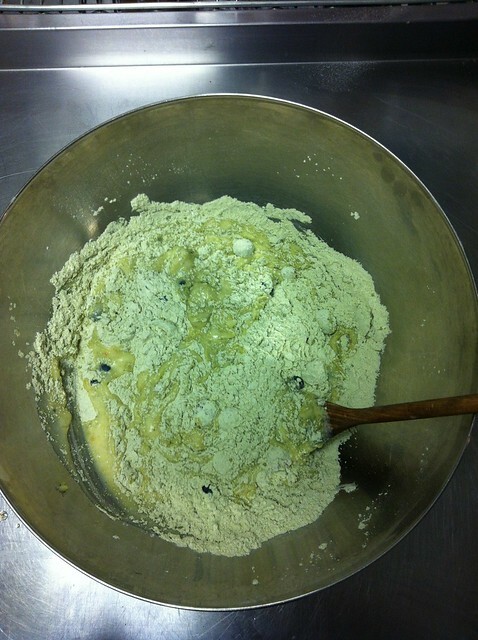 In the second one mix the sugar, the crème fraiche until the sugar is dissolved. Once done add the melted butter to it…combine, then add your 3 eggs and the vanilla. Mix it all gently, you might find the mix a bit dry at first. It’s normal…don’t worry nothing is missing. Make sure you get all the dry ingredients from the bottom in the mixture to avoid lumps of flour. 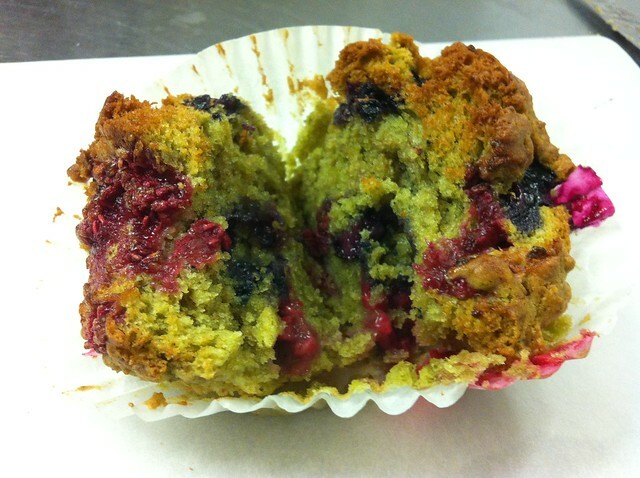 To place the mix in the individual sleeve I use an ice cream scooper for regular size muffin but a spoon will do the job too. Make sure you fill only ¾ of each case. 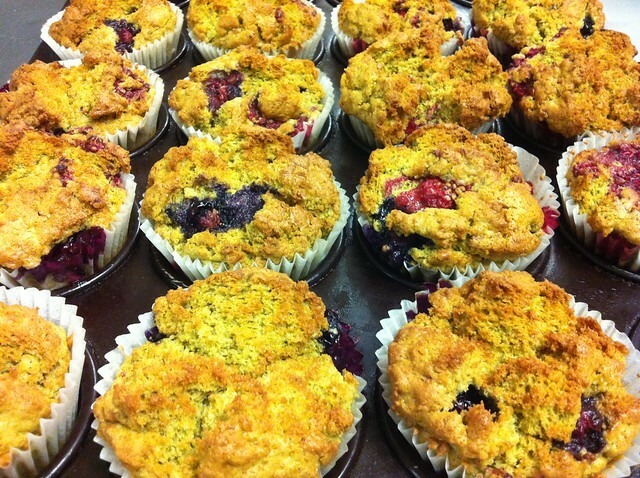 When cooked remove from the oven and let the muffins cool down for a bit. Try it warm but I prefer them cold. You can taste the matcha better. ENJOY. If you have any questions or doubts just ask me.